This week Scotland lost one of its great modern cultural figures. 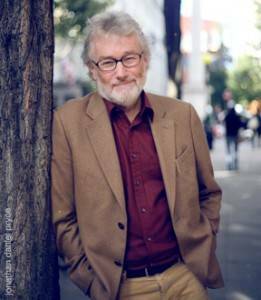 Iain M. Banks was someone of historic importance. In the light of his death, I personally feel the need to go read his mainstream ‘literary’ novels, which I’ve never got round to before. However, for readers who have only read the books by Iain Banks, I challenge you to reciprocate and check out the stories of Iain M. Banks, which is the name he published his science fiction under. The Culture series of novels is a serious attempt by a Scottish socialist to depict an advanced future utopian society across the galaxy. The Culture is a network of colonies, starships and artificially built habitats lived in by an alliance of human like peoples and super intelligent machines. “The thought processes of a tribe, a clan, a country or a nation-state are essentially two-dimensional, and the nature of their power depends on the same flatness. Territory is all-important; resources, living-space, lines of communication; all are determined by the nature of the plane . . . that surface, and the fact the species concerned are bound to it during their evolution, determines the mind-set of a ground-living species. The mind-set of an aquatic or avian species is, of course, rather different. Economically, The Culture is a post-scarcity society. Technology, automation of manufacturing and services, and advanced artificial intelligence means everyone has everything they need and nobody has to work. Demeaning and boring work is done by machines that are not conscious. The economy as a whole is planned and managed primarily by artificial intelligences many times smarter than humans, leaving people to find productive ways to fill their time. People do this by truly lifelong education; by exploring the galaxy; by exploring themselves and their minds on drugs; and by playing intensely complicated games or simulations. These are just some of the ways that people occupy themselves. The point is that the stories show a society freed from the constraints imposed on us by inequality, poverty and exploitation. Everyone is truly free to explore themselves and their own lives. This novel in particular examines the complexity of interfering in other civilisations, and made the list of 50 SF & Fantasy works socialists should read. In Banks’ utopia, the stories are usually about how the super advanced civilisation interacts, and interferes in, the existence of alien civilisations around it, still going through phases of empire building, enslaving and exploiting in class based societies. Where they can, The Culture actively involves itself to try and advance societies towards being classless, rational and free. The Culture is hedonistic, but it isn’t decadent. It is a statement of Banks belief of what people and intelligence are capable of freed from the political and economic necessity to oppress and exploit. Of course people pursue pleasure. Humans have been endlessly genetically altered to advance them evolutionarily, leading to such excellent adaptions as the ability to gradually change gender easily and without surgery over months in a trance. This means that most people try gender swapping throughout their lives, and gender inequality has largely ended as a result. “For the Culture’s AIs, that need to feel useful is largely replaced by the desire to experience, but as a drive it is no less strong. The universe – or at least in this era, the galaxy – is waiting there, largely unexplored (by the Culture, anyway), its physical principles and laws quite comprehensively understood but the results of fifteen billion years of the chaotically formative application and interaction of those laws still far from fully mapped and evaluated. All this no doubt sounds a million miles away from our present existence scrabbling for survival in the eco/econopocalypse. Science fiction is never really about a realistic depiction of the future. It is a way of projecting our dreams, hopes and fears of our own times to extremes, a way we can try visualise the consequences of things we see happening. Many looking to the future today, projecting from those same newspaper headlines, sees something more like ‘Children of Men,’ ‘Black Mirror’ or even ‘The Road’ before they see The Culture. But if you are left wing, or a socialist, then fundamentally you are on the side of the hopeful. I’m not dogmatic about it, or think I have the magic recipe for how to fix everything. But I do believe that the world we have is not the best one that humanity can ever create. At its root socialism is the political expression of the same belief expressed fictionally in The Culture novels: that for the first time in history, we are approaching a point where we can say technology and the combined efforts of our species cooperating could free everyone from hunger, exploitation and misery. We could feed everyone in the world, everyone could have fulfilling, meaningful things to do with their lives, we could have truly universal healthcare and education that took in every conscious being. It will take massive work and a long time, but ultimately the obstacles in the way are social and political. The way we live now, unequally and exploitatively, is inherently irrational and wasteful, and can be evolved beyond. “Iain was a patron of the Foundation and has been a great – though modest and quiet – supporter of many left causes in Scotland. If you talk to different organisations across the left in Scotland you will probably find that many received an unsolicited cheque or message of good will from a man who was passionate about his political views. I for one know that behind the scenes the support of Iain was on several occasions absolutely crucial to the success and survival of the Scottish Socialist Party, a project many of us once saw as our own version of utopian hope for Scotland. When I discovered The Culture novels I was also discovering a political awareness and activism. To me they truly were inspiration to fight for a better future. They were a depiction of everything people and life could be, and the fact that Banks donated to and supported to the SSP, for me made a concrete link between this magical act of imagination and the daily, real struggle to change the world today. Even today, having been disillusioned in that dream, Scotland as a whole is being asked to project itself into the future, to take decisions on the kind of society we want to inhabit. The campaign itself is not unlike speculative fiction, and it remains to be seen whether people will vote with optimism for the future or in fear of the ‘Better Together’ dystopian vision. We know which side Iain was on, as a signatory to the Declaration of Calton Hill, and a consistent advocate of a Scottish republic. “All fiction is metaphor. Science fiction is metaphor. What sets it apart from older forms of fiction seems to be its use of new metaphors drawn from certain great dominants of our contemporary life—science, all the sciences, and technology, and the relativistic and the historical outlook, among them. Space travel is one of these metaphors; so is an alternative society, an alternative biology; the future is another. The future, in fiction, is a metaphor. ← Whose City: Are The Commonwealth Games Ruining Glasgow?